Making window drawings with chalkmarkers creates a lively, decorative effect. 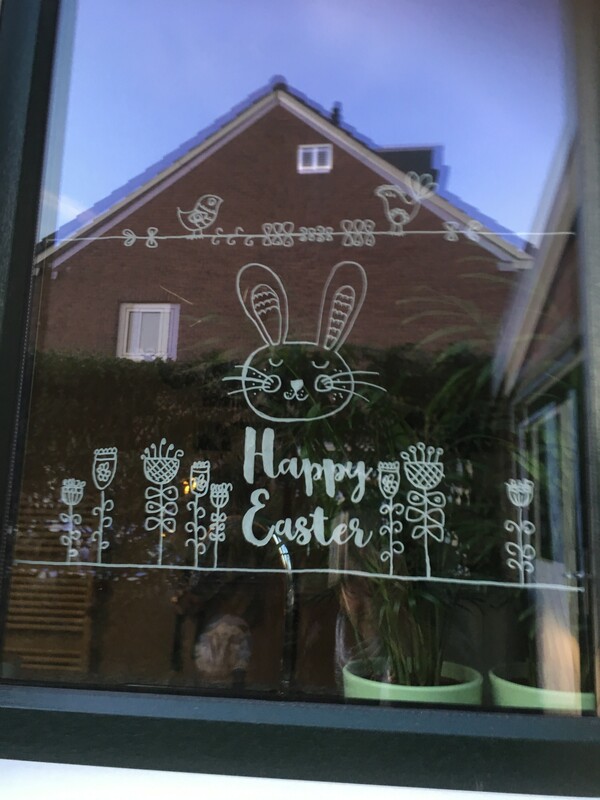 It’s a lot easier to make an attractive illustration on your window using our template. A bouncy Easter Bunny, pretty flowers and cute birds will bring the fun of Easter into your home! Have a go with our window art template and a Securit chalkmarker. 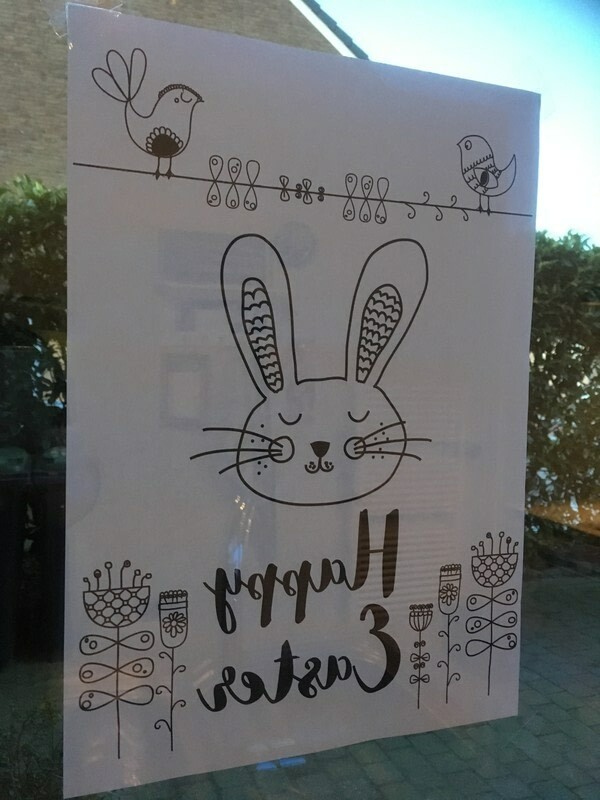 Print out the Happy Easter drawing either as a mirror image or the right way round. This depends on which side you want to read the text from. Tape the drawing to your window. 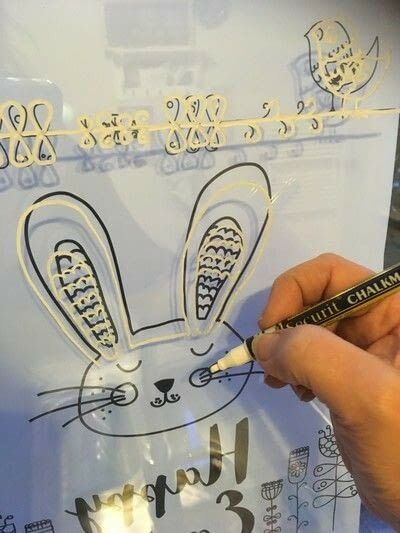 Trace the lines of the drawing with the Securit chalkmarker. 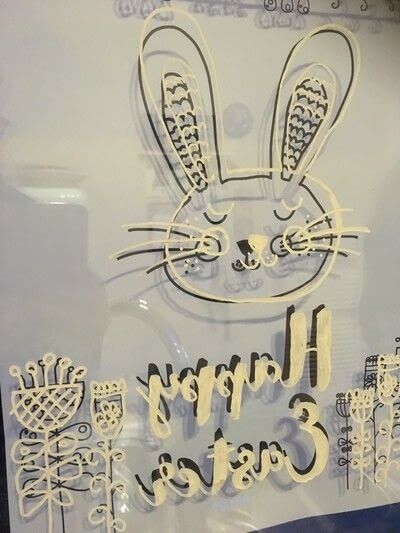 Reveal your work by removing the paper. You can extend some lines of the drawing if your window is larger.